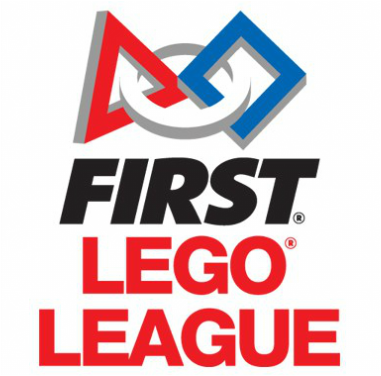 638 FLL teams in MN in 2018-19 - MN's High Tech Kids is the 2nd largest FIRST partner in the world! Can include the use of touch sensors, color sensors, light sensors, ultrasonic sensors, gyro sensors, and sound sensors on their robot. The robot is programmed using NXT-G or EV3 graphical programming language. Apply real world math and science concepts in hands on learning. Develop career and life skills such as problem solving, critical thinking, time management, collaboration, public speaking and communication. Two Lakeville FLL teams, #23918 Ballistic Bots and #39199 Martian-Mallows, advance to the 2019 FLL State Championship! Four Lakeville FLL teams, #18502 Uni-Gears, #19216 Beestmode, #23918 Ballistic Bots, and #24298 Powerful Programming Puppies advanced to the 2018 FLL State Championship! At the 2017 FLL State Championship, Lakeville Team #19216 BEESTMODE won 1st place in the state for Quality of Research, and finished in the top 7 teams in the state for Core Values and the Champions Award. At the 2016 FLL State Championship, Lakeville Team #2023 Glitter Girls won the 3rd place Champions Award,1st Place Creative Presentation, 2nd place Strategy and Innovation, and finished in the top 7 for Core Values, Mechanical Design, and Programming. They advanced to the Arkansas Razorback Invitational in May, 2016. The Glitter Girls were awarded 3rd place for Research Project Presentation at the 2016 Arkansas Razorback FLL Invitational. At the 2015 FLL State Championship, Lakeville Team #29 Caught in a Brainstorm won the 2nd place Champions Award, 1st place Creative Presentation, 2nd place Core Values, and finished in the top 7 in Programming and Quality of Research, and 9th in the robot game. They advanced to the 2015 World Championship in April, 2015. Caught in a Brainstorm was awarded 3rd place for Research Project Presentation at the 2015 FLL World Championship. At the 2014 FLL State Championship, Lakeville Team #4691 Caught in a Brainstorm won 2nd place for Creative Presentation and finished in the top 7 for Programming and Quality of Research and won one of four special Judges Awards.